Commercial Fiction Definition – What’s the best definition for the Commercial Fiction genre? That depends. Some people use the term Commercial Fiction as a compliment; others use it as an insult (usually Literary Fiction snobs). Commercial Fiction is fiction with broad appeal and the potential to sell lots of copies. In other words, Commercial Fiction is written in a way (story and style) that’s accessible and likely to be enjoyed by the average reader. 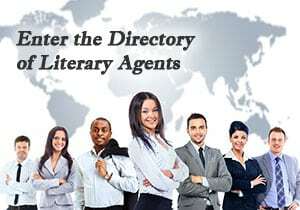 Examples of Commercial Fiction authors include Dan Brown, J.K. Rowling (Harry Potter), John Grisham, and Stephen King. Commercial Fiction books often fit into other clear-cut sub-genres such as Mystery, Horror, Romance, Fantasy, Science Fiction, etc. Successful authors of Commercial Fiction sub-genres like those listed above are familiar with the conventions of their genre and they don’t stray very far from them. Readers of those sub-genres expect certain things and, if you know what’s good for you, you’ll give it to them. For example, if you’re writing a Commercial Romance novel, you better not kill off one of your lovers halfway through the book. Commercial Fiction isn’t necessarily less intelligent than Literary Fiction. It’s simply easier to read and it’s more relatable. Commercial Fiction can be smart or “upmarket” writing that’s rich and meaningful. When compared to Literary Fiction, however, Commercial Fiction is more plot-driven and faster-paced, and more action takes place. That’s why Commercial Fiction is easier to adapt to feature film. Commercial Fiction usually deals with fairly simple or straightforward themes that are universal. And, Commercial Fiction often appeals to readers of all ages. Harry Potter is a good example because J.K. Rowling included characters of all ages that readers of all ages could relate to.